Earn $1.44 in Rewards credit (144 points) What's This? 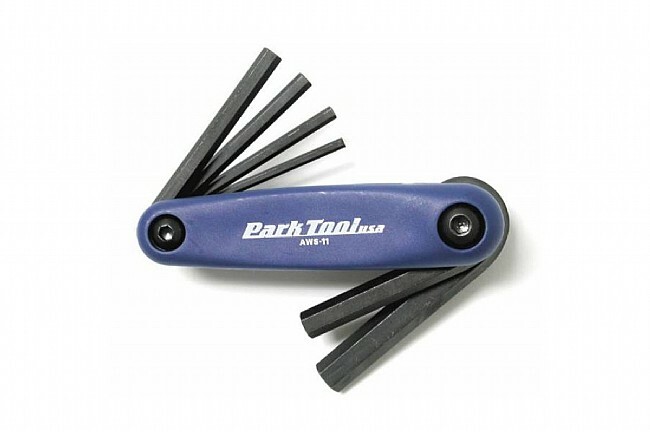 The AWS-11 Folding Hex Set offers common hex wrench sizes for repairs at home or on the road. Durable glass injected resin body is stronger and lighter than most other designs. Includes 3mm, 4mm, 5mm, 6mm, 8mm and 10mm hex wrenches. Nice tool for the home shop but on the heavy side to carry on the bike. Has all the sizes you will need. I bought this thinking it would be good to take on rides, but it's much too large and heavy. Great quality tool for the toolbox, though.